You want to sell more and serve customers better. You can achieve that thanks to the Sales& Customer ServiceStyle Report. Information which you will obtain from our Sales& Customer ServiceStyle Report have been designed in such a way to help you become a better salesperson. Everyone who works in sales or customer service, does it in his or her way. Getting to know your sales style and the style according to which your customer makes decisions related to making the purchase, using the services of a given organisation is the key to obtain the best results. You want to have better sales results and serve customers better. Thanks to Sales & Customer Service Style Report, you can do that! Whether you are a salesperson who conducts numerous business talks with external partners or you sale by way of customer service, thanks to learning your natural sales style you will be able to better communicate with customers, will discover your inner motivation, learn how to convince customers and, finally, improve sales results. 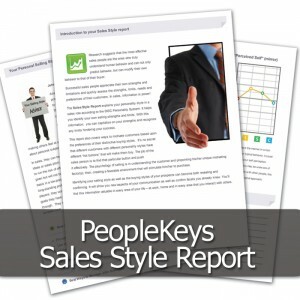 Order a Sales & Customer Service Style Report and become the sales leader in your company. 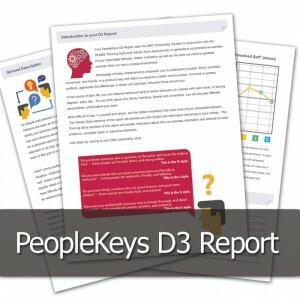 The information you get from our Sales & Customer Service Style Report has been designed in a way which will help you become a better salesperson. Short feedback session (20 min) included. Within 24 hours after the purchase you will receive an email with instructions and a link to complete the assessment online. 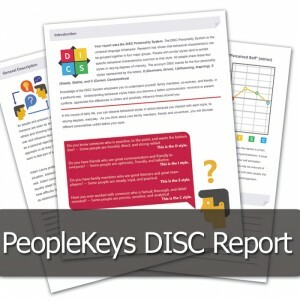 The person completing the assessment can save the final report in the form of a PDF file. If you wish to purchase a greater number of assessments, contact us to discuss the details.